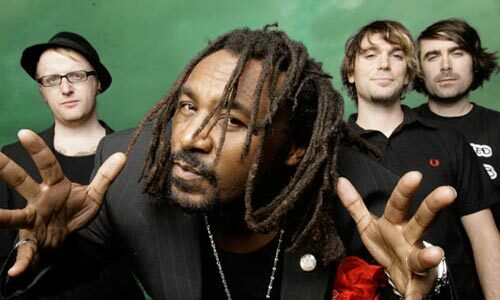 Skindred Biography, Discography, Music News on 100 XR - The Net's #1 Rock Station!!! 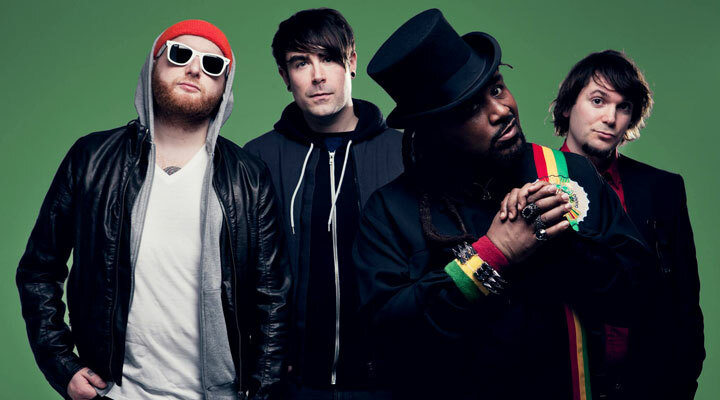 Skindred are an Alternative-Metal band from Newport, WALES; the group formed as a quartet with vocalist Benji Webbe, guitarist Mikey Dee, bass player Daniel Pugsley and drummer Dirty Arya. They began performing together in 2002 and toured throughout Europe as support act for major bands such as Adema, Ill Niño, Nonpoint, P.O.D., SOiL and more. Elements of Metal, Reggae, Punk and Drum & Bass all come together to create "Babylon". Their debut full-length disc was originally released in April of 2003 and then re-released in August of 2004 with a different cover art and track-listing. 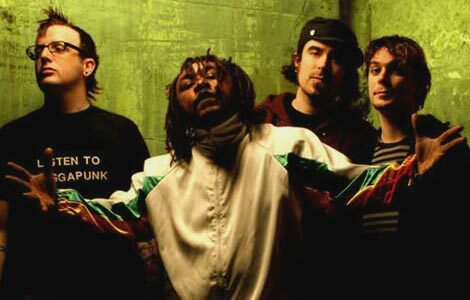 When the album was released for the second time, it was only after U.S. based Lava Records signed Skindred to their label and offered the band a chance to get more exposure; the CD eventually peaked at #5 on the Billboard's Top Heatseekers chart and made a brief chart intrusion on The Billboard 200 at #189; the first single, " Nobody", grabbed a #14 spot on The Mainstream Rock list and was followed by another Active Rock top 30 hit, "Pressure". In October 2007 the quartet released their sophomore album; recorded at Bieler Bros. Studios in Pompano Beach, Florida, "Roots Rock Riot" reached the #22 position on the U.S. Top Independent Albums chart and also spawned a couple of minor hits with "Rat Race" and "Trouble". Skindred released "Electric Avenue", a cover of the classic Eddy Grant song through MySpace in January 2009. In 1983 "Electric Avenue" became a cross-Atlantic smash, topping the charts in both the U.S. and Great Britain. This single was eventually included on the 8-track EP entitled "Shark Bites And Dog Fights", which was released in September 2009 in conjunction with the video/single "Stand For Something". An album of all new material, "Union Black", followed in April 2011 led by the first single, "Warning", featuring guest vocals by Papa Roach frontman Jacoby Shaddix. Skindred will release their eagerly awaited new studio record, "Kill The Power", on January 27, 2014.